Charles Grogg. Monica Wyatt. Mary Heebner. Charles Grogg is an Ojai based photographic artist showing his series Episteme, images made from expired Polaroid film without exposure by a variety of processing techniques. The Episteme images are an attempt to define the realm of possibilities and dictates of the usually invisible or underplayed stratum of film. They are representations of the capacities of the film rather than any outward objects. Monica Wyatt, based in Los Angeles, brings her sculptural works made from natural materials fusing science and creativity in three dimensions. Her sculptures and assemblages are three dimensional stories, about relationships, childhood, time passage, marriage, motherhood and secrets never told. 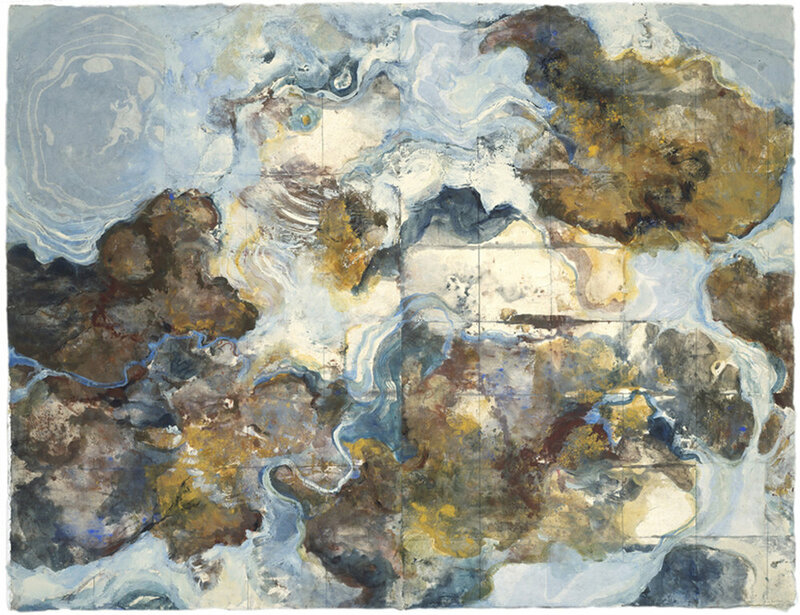 Mary Heebner is known as a Santa Barbara local and an internationally celebrated artist. Her collage, mixed media works have been hung around the world in galleries and museums. Her work is deeply grounded in sense of place. Her works sew fragments rewoven to gain a vision of the whole, connecting, iamgingn and creating new stories.